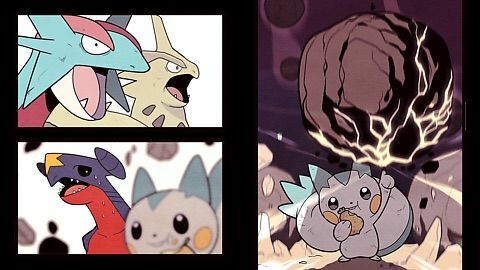 What is your favorite Electric-type Pokemon? Still Jolteon. But Emolga is cool too. I've always thought Zapdos was the pure definition of an Electric type Pokemon. Jagged, sharp, fast, yellow. So yeah, Zapdos. For a long time it was Ampharos, but these days it's Eelektross a little more. Great Pokemon all around, design and use. And I remember thinking it was actually pretty cute once I saw its little 3DS era graphics, a lot smaller than gen 5 sprites made it seem. Jolteon will always be my first love and then Magneton. I love just about every Electric type.